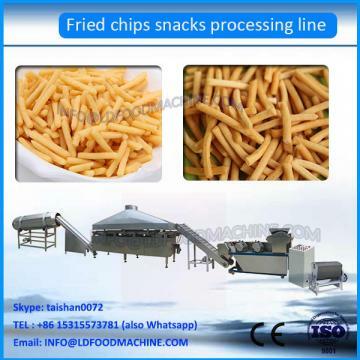 Fried wheat flour snacks machinery/process line uses double screw extruding technique to replace the traditional steam boiling process. It includes mixing, Cook, extruding, and shaping process, no needing boiler, with simple process, high efficiency and little pollution. The raw materials can be rice powder, corn powder, wheat flour individually or their mixture. Only by changing the moulds, shaping or cutting machinery, the shapes can be various: sticks, square sheet rib chips, diamond chips, wavy chips, pillow shapes and bugles etc. The taste is good and no greasiness. 2. 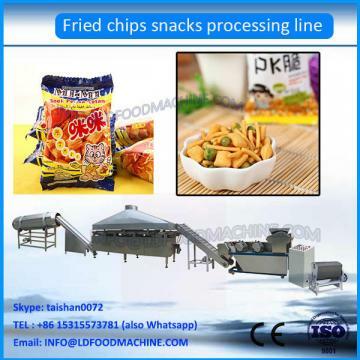 Products: Shapes can be various: sticks, square sheet rib chips, diamond chips, wavy chips, pillow shapes and bugles etc. flakes is very popular all of the world,it is convenience and nutrition . 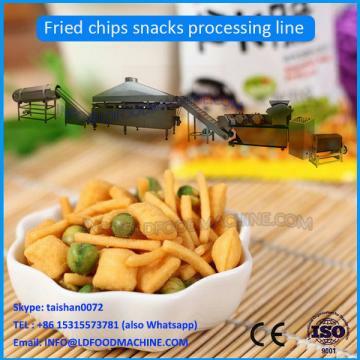 If you want to know more ,please feel free to send me inquiry and i will send video,pictures to you LDout our snacks food make machinery .